Let’s face it, cardiovascular exercise is one boring beast. When you’re in the pre-contest phase and you are absolutely required to put in the time if you want to get lean. Here are some ideas for passing that exercise time while getting things done or maintaining your sanity. For the sake of this list, we will make the assumption that you have access to a treadmill or stationary bike with a platform that will allow for the attachment of various items. This is the easiest way to pass an hour of boring cardio. Turn on SportsCenter or MSNBC and spend 30 or 60 minutes catching up on the latest news that matters most to you. Or, put on a DVD and find out how the movie you fell asleep during last night actually ends! Check your email, surf your favorite websites, and spend some time on the bodybuilding forums as you complete your daily cardio! By far, music is the most popular way to pass time while training. 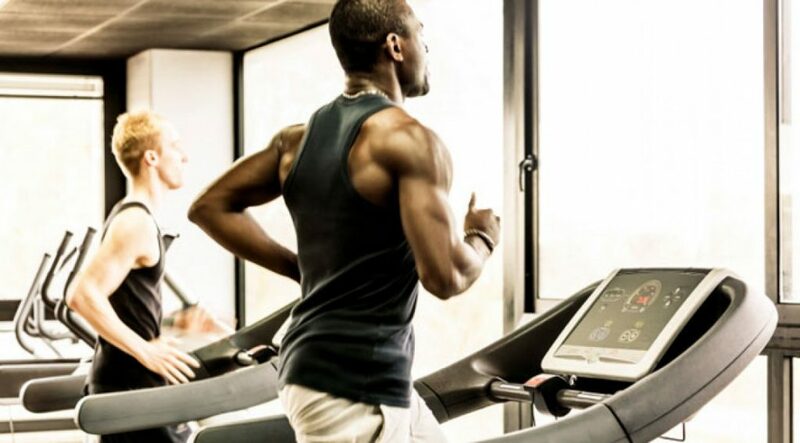 Look at the row of cardio equipment at any gym, and there’s a good chance that 90% of the users will be sporting a subtle white wire from their I-Pod to their ear. Set up a playlist that keeps you motivated, or a dance/techno list that will allow you to take stride in beat with the music. Pimsleur and other firms offer excellent disks on learning a new language by reciting lines after a voice on a DVD recording. Buy the disks, rip them to mp3, and pick up Spanish, Chinese, French, or another language as you pedal away. The increased oxygen flow to your brain will ensure you learn the language that much faster! Whether you’re a college student cramming for a test, or just a regular Joe looking for a little time to spend with your guilty secret of reading mystery novels, the stationary bike or treadmill is a great place to lock out the world and let your mind enter its own special place. Or, pick up a copy of FLEX or Muscular Development and plan tomorrow’s workout or tonight’s dinner! For those with or without a bit of musical talent, strapping a small keyboard to the front of a treadmill or stationary bike might be a very wise move. Imagine being able to practice your scales, write songs, or just blow off some steam with some chords, while your legs pump away the unwanted body fat. Okay, so the thought of reading while moving makes you a bit squeamish – that is okay. We don’t all have the stomach for it. What might be easier is an audiobook! You can order books on CD, or use Amazon’s new product known as the “Kindle 2” which actually reads many books to you. You can bump up the incline on your treadmill, close your eyes, and lean back as the book is read to you. It takes the thinking out of it, and allows you to enjoy the book without the nausea!